View More In Advent Calendars - Page 8. 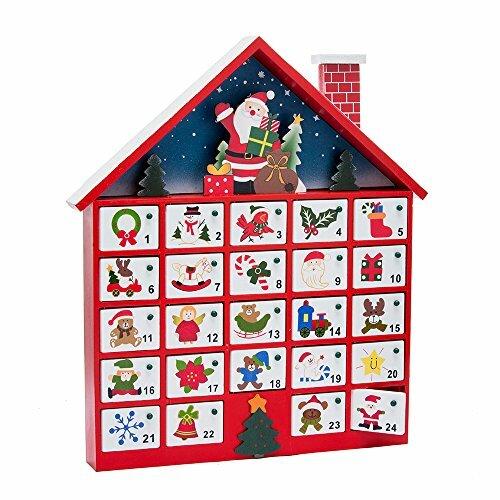 This 16-inch wooden advent calendar by Kurt Adler is a fun and festive addition to any holiday decor. its classic design resembles a house and features 24 tiny doors, which you can reveal as you count down the days until Christmas. Santa Claus is waving happily from the roof of this house as he carries his bag of toys. Primitives by Kathy Nordic Countdown Block, 9" x 3.5" x 6.5"